Foragers of the desert fire ant, Solenopsis xyloni, collecting flower nectar. According to a paper published earlier this year, the ants in this genus produce some of the strongest antimicrobials measured in social insects. Photo credit: Clint Penick. Over the past 90 years, people have come to rely on an arsenal of antibiotics to treat bacterial infections that are increasingly becoming resistant to them. Where can we find other medicines to overcome the superbugs? For NC State University’s Omar Halawani, the answer could be another type of bug – the ant. 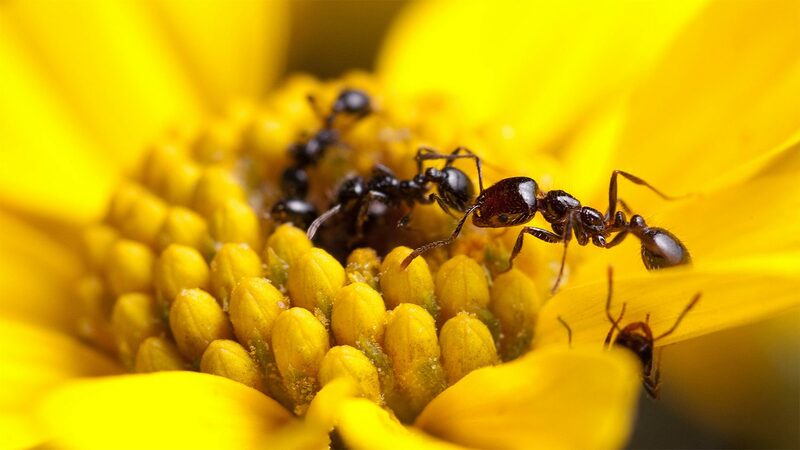 Like people, ants are social creatures. They live in tight quarters, where they would face intense pressure to develop antimicrobial chemicals to stop the spread of disease. After all, previous studies on other social insects such as thrips and bees showed that they do. 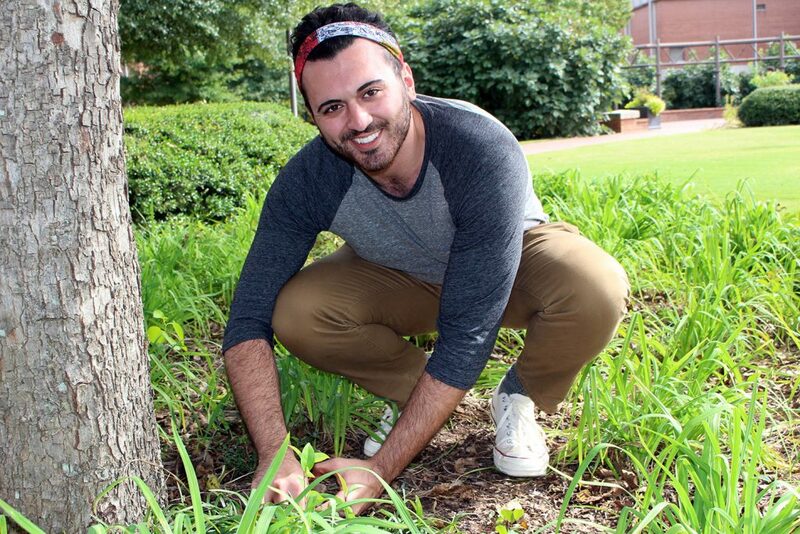 Omar Halawani looks for ants at NC State in hopes of learning more about the evolutionary adaptations of their societies. During his undergraduate studies in the Department of Applied Ecology, Halawani studied 20 ant species, finding that a tiny backyard ant species – the thief ant — produced the strongest antimicrobials. But he was surprised to find that 40 percent of the species did not produce any. That, of course, raises the questions of why – and how could it be? As a master’s student, he’s searching for answers with the help of two NC State ant experts – Rob Dunn, professor of applied ecology, and Adrian Smith, research assistant professor of biological sciences and head of the Evolutionary Biology and Behavior Lab at the N.C. Museum of Natural Sciences. Halawani wants to gain a better understanding of the role that general antimicrobials have on ant societies. Our research addresses grand challenges — and overcomes them.